Pendulux – Unique Lamps, Clocks, and More! 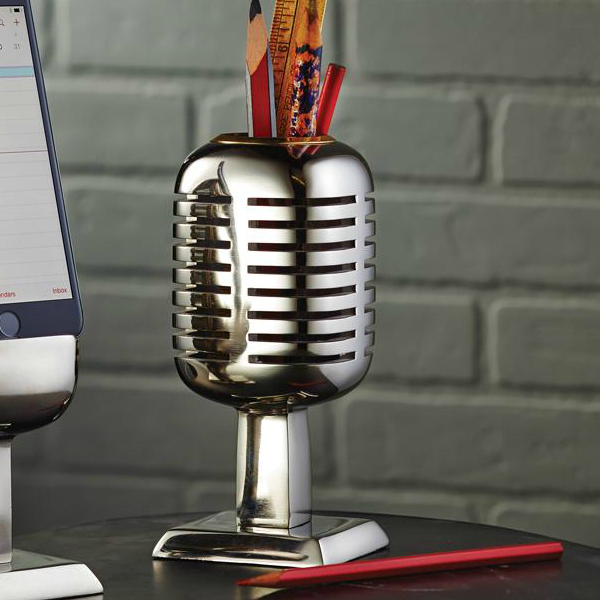 Allow this Retro Microphone Pencil Holder from Pendulux to make you feel like a 1940’s Cabaret star! This desk accessory has an authentic look and feel with polished solid cast aluminum and brass trim. It has a weighted base with a felt bottom to ensure that this beauty will last through many more decades on stage. Go ahead, sing your heart out whenever the mood strikes you! Use this table light to bring out your scientific inventor side. 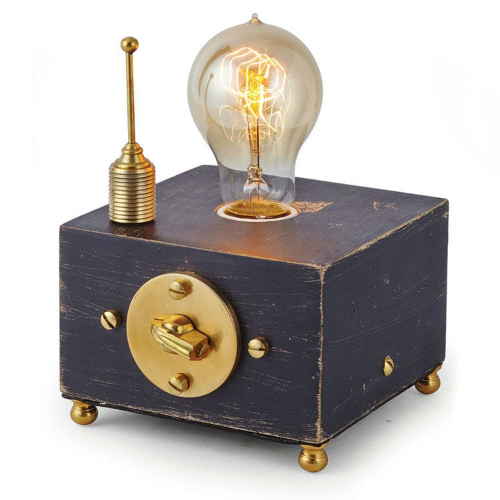 The wooden box has a vintage patina and solid brass details. The rotary switch independently controls each bulb to allow the perfect amount of light to illuminate your plans. Available in a single or double fixture. 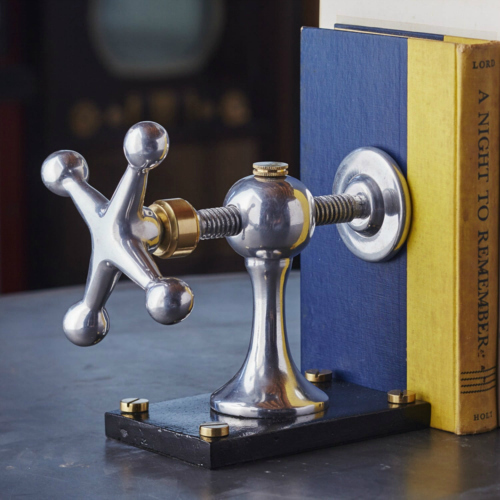 Perfect for an office desk, home bookshelves or bedside tables. 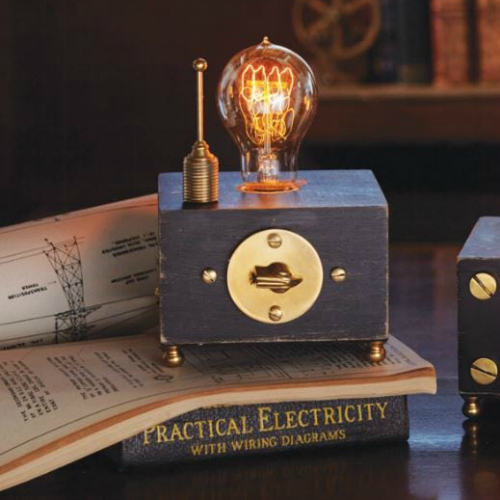 Use a standard base, Edison-style bulb to transform your space into a scientific inventor’s lab. This vintage inspired feel is what has made Pendulux so popular! This unique clock will make you feel like a space explorer. 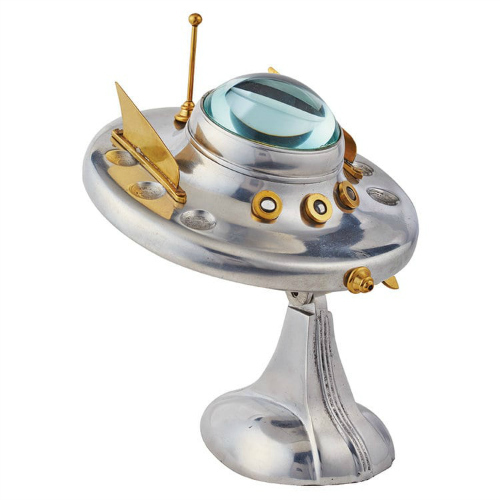 Inspired by the pages of 1950’s sci-fi comics, this is a relic of retro futuristic fins and antenna. There is an acrylic window for alien observation and an adjustable stand for alternate angles of aerial attack. Let your desk clock transport you through time and space each and every time you check the time!! Become a turn-of-the-century mariner with this Steamboat Willie Table Clock. 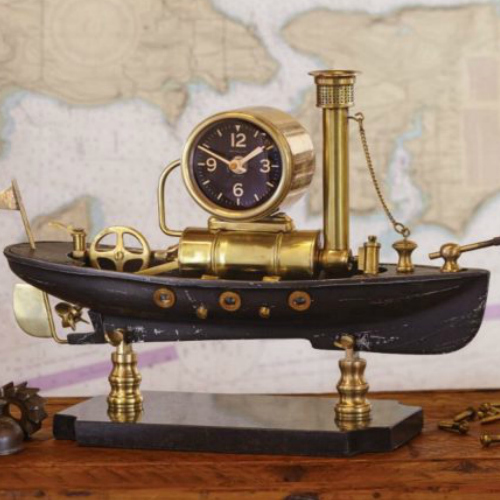 Love of the early steam power revolution and all things maritime combine perfectly in this stately mantle clock. The painted aluminum and brass clock floats atop a genuine marble base. 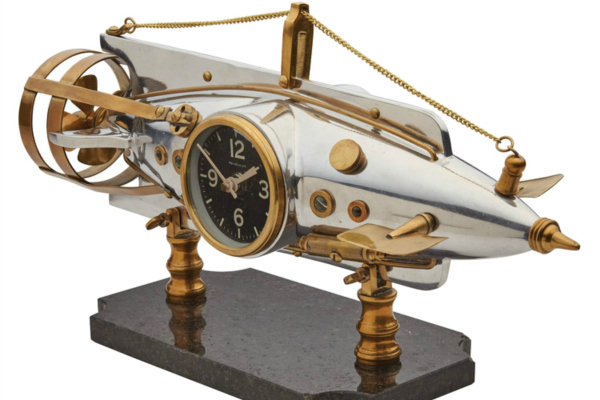 Designed with a nod to model ships encased in glass and mounted on solid frames, this piece incorporates a clock with a housing borrowed from a 1910’s steamship bridge. It also has an operable brass steam piston on the stern to portray the movement of the original parts found on steamships. 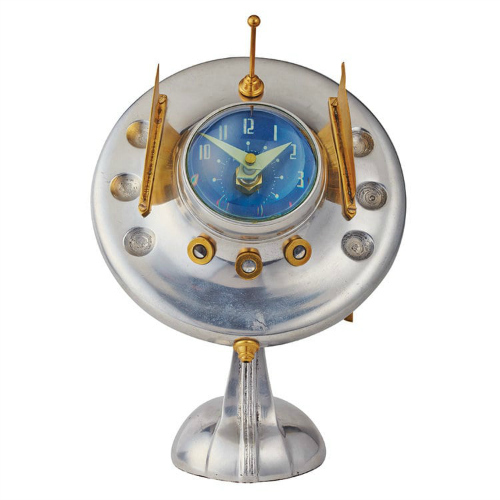 This matchless Pendulux timepiece will spark both interaction as well as the imagination. Its durability and timelessness will ensure its place in your home through the next turn of the century! 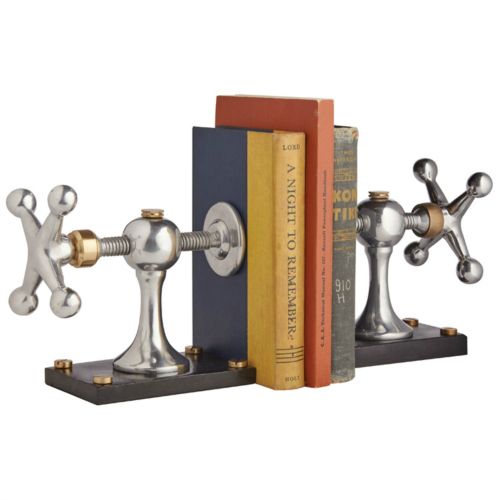 These classic Pendulux bookends are forges of polished cast aluminum and brass on a heavy iron base. The operational handwheel and screw will keep your editions of Melville, Verne and all the classics neat and tidy on your shelves. These small-scale versions of early turnbuckles won’t just regulate the sail line tension – let them transport you to the high seas and all the adventure that awaits, all while keeping your books in ship shape! Do you have a recent college grad or need the perfect gift for your new neighbors? Make sure to read our Ultimate Guide To Housewarming Gifts!